Today I am taking part in a blog series promoting Gingercake patterns. 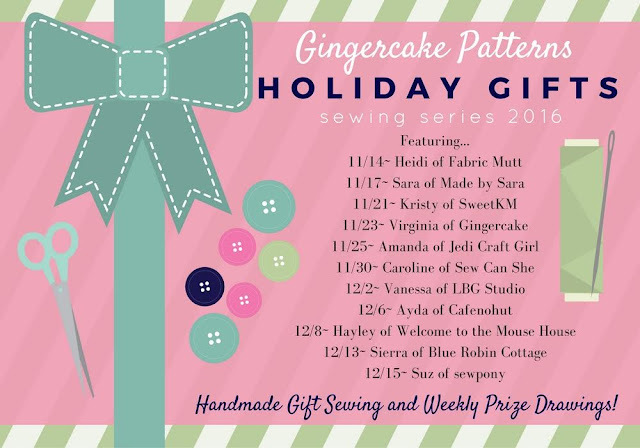 Gingercake patterns and blog is owned and written by Virginia Lindsay. 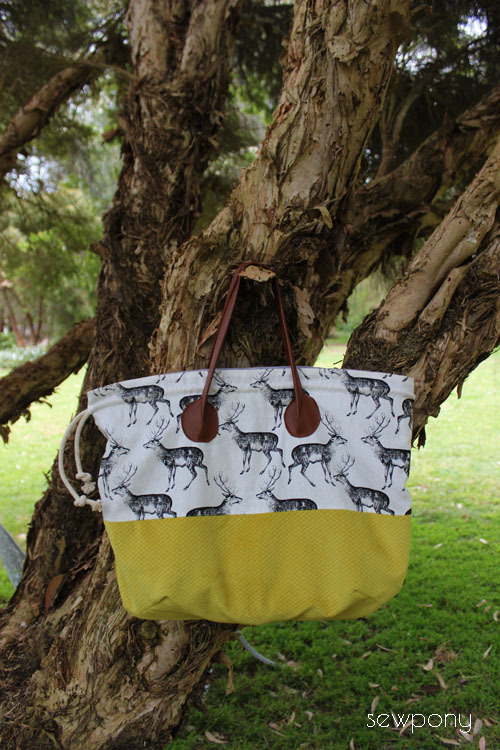 Virginia designs and sells PDF patterns to create bags, soft toys and accessories. I chose to make the Sleepover Tote for this tour. 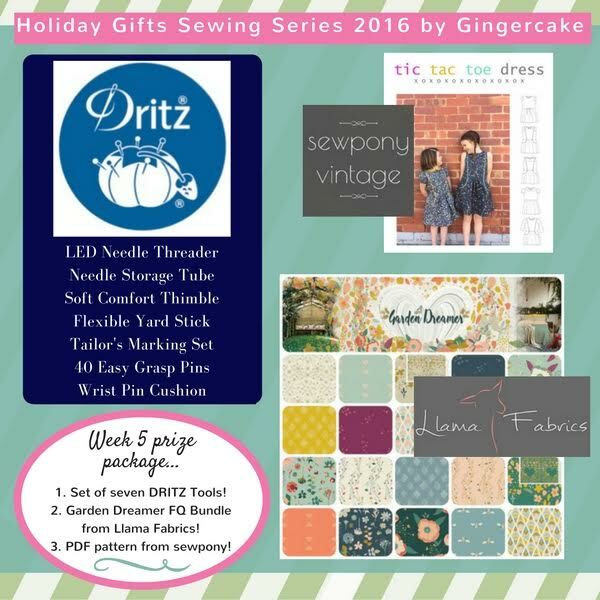 This pattern is a beginner level pattern and can be used to fit any width of fabric to create small, medium or large tote bags. 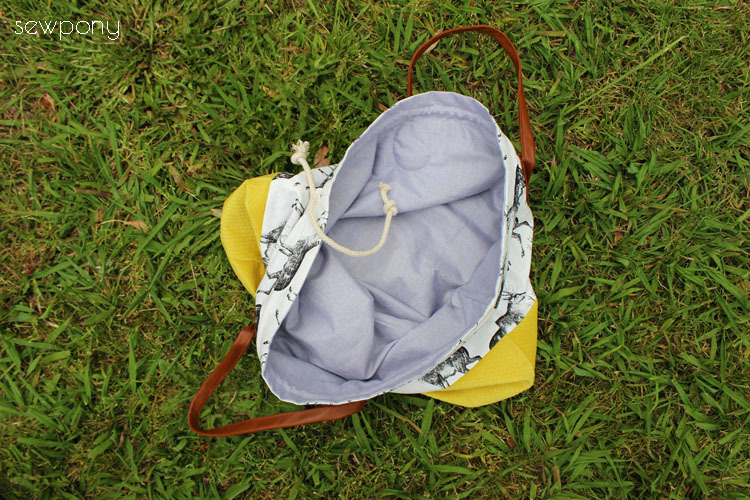 The Sleepover Tote is a simple rounded rectangular bag which features darts at the base, a draw string top and straps. 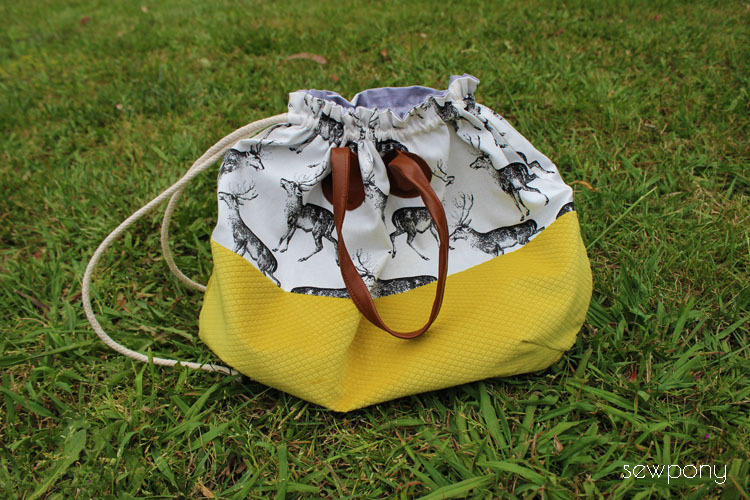 I sewed mine up as a split front with a chartreuse upholstery fabric (look familiar - see this dress), and a cotton duck fabric with gorgeous deer on it (look familiar - see this cushion). Both fabrics from Spotlight. I lined the inside with a grey brushed cotton. For the tie, I used thin rope from Bunnings (hardware store). For the handles, I used some beautiful soft brown leather that I found at a second hand market. Since I used leather, I changed the pattern piece and construction. The pattern recommends faced thick cotton sewn right side together and then turned right side out. For my handles, I omitted the seam allowance and just cut one handle for each side instead of two. 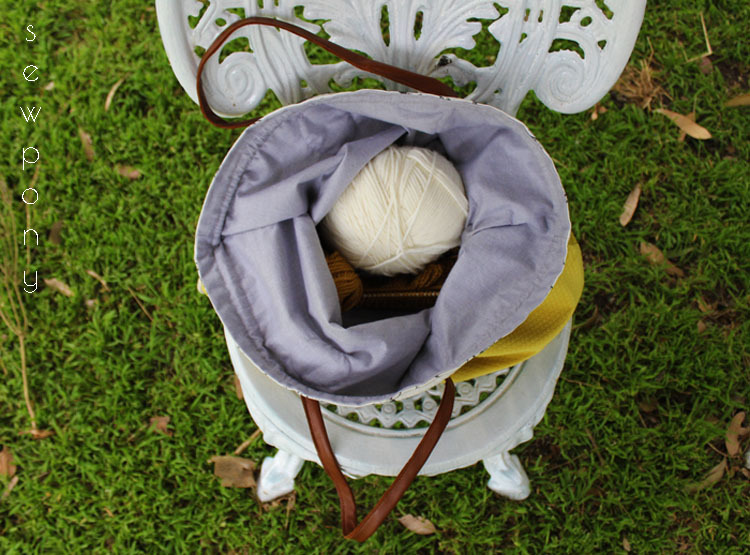 But since the leather is soft, It is not super sturdy, which is why this bag is perfect as a knitting bag. Virginia is also running a giveaway! Would you like to enter? Just complete the entry below. Would you like to see what other lovely sewers have made with Gingercake patterns? I am the last blogger to participate, so you can see many lovely creations by visiting these blogs! Thank you Virginia for the lovely pattern. I have another three bags cut for the girls for Christmas! I love the fabric with the deer on it! That would make a great gift!